I'm often asked where one can buy the pretty coloured metallic tea light candle holders we featured back in 2006, as they're no longer available from Heal's. Sadly I've not been able to find exactly the same set again, but I've done some digging and come up with a range of alternatives for those of you who love the look. 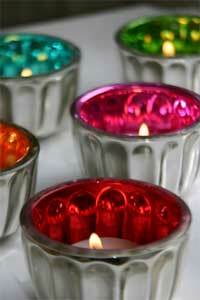 Pictured here are coloured 'cupcake' tea light holders from lovely store Rockett St George. They come in a set of four and cost £9.99. You can also buy a very similar set of six for £12.95 from Amazon or blendboutique. The Cotswold Company is offering 15% off all full-priced items until 16th April, and what better purchase to make than these very sweet 'Summer garden spike candles' . They come as a set of four in blue or yellow and are 76cm high. I think I'd have to go for the yellow as they remind me of oversized buttercups and would look really cute peeping out from between bushes in the garden. They're usually £29.95, but with the discount they're yours for £25.46. It's always exciting to hear about new homewares and interiors stores opening, and the most recent online shop to come to my attention is Amode. 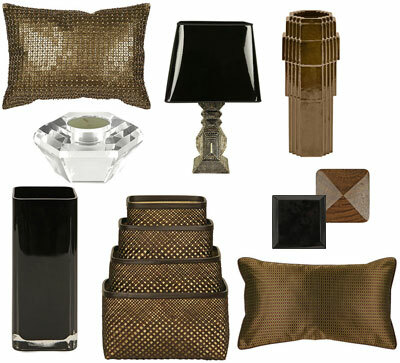 The store aims to offer quality, design-led home items at lower than designer prices. 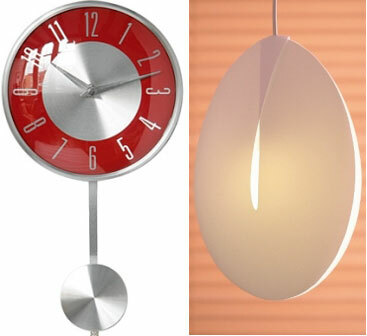 There seems to be a strong focus on modern and retro-styled products, and a few home accessories that have caught my eye include the red Pendulum Wall Clock (£14.98) and the simple elegant (and well-priced at £19.98), Seed Lightshade from Black & Blum. 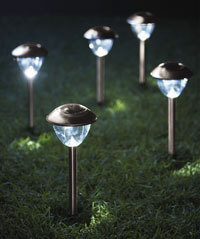 Now that the evenings are starting to get a little darker, it's a good time to think about lighting in your garden. Woolworths has a range of garden products in their summer sale, and these attractive stainless steel solar-powered outdoor lights are a bargain at £19.99 for a set of ten, saving you a huge £60 on the original price of £79.99. Even better, Woollies is offering an extra 10% off Big Red Book sale purchases (including these lights), until 9th Sept so enter ISOAugust07 at the checkout to save. Brace yourselves people! Heal's is having a bank holiday weekend, up to 70% off, warehouse sale. It starts at 9am on Saturday 25th and finishes at 4pm on Monday 27th August at the Heal's distribution centre in Edmonton, London (N9, near the A406 and the Brent Cross Ikea). Discounted items include this nickel and acrylic Malabar lamp reduced from £100 to just £30, and the Louis black lacquer console table by John Reeves (we featured the outdoor range in June), half price at just £248. We've hit the season of summer sales and there are some great homeware and interiors bargains to be had. Everyone I know seems to be looking for new lighting at the moment (including me), so I've been perusing the lighting clearance at Wallace Sacks. These pretty silk shades are available in soft green with a fuchsia leaf print, and brown with a gold print and can be hung from a pendant fitting or fixed to a lamp base. They're just £35 each. 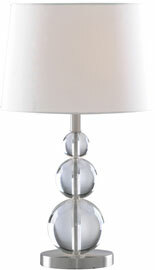 First up is this very pretty Moroccan style hanging lantern from Monsoon. It has crackle glass and hand made brass detailing. 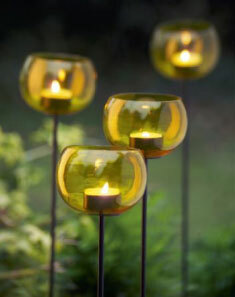 It's £15, available only in green and takes a standard tealight candle. I'm finding that I've been very drawn to green lately. I'm not sure if it's because Spring is in the air, or just that it's such a great, versatile colour. 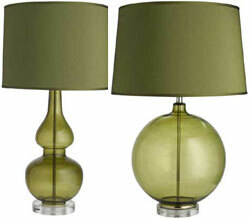 So when I saw that Graham & Green have taken an extra 10% off their lighting sale items, it's these two green lamps I made a beeline for. They're both glass with a faux silk shade and the 'Globe' lamp in particular reminds me of some of Jeremy Pyles' wonderful glass pendant lamps we featured back in December (we featured 'Aurora', but take a look at 'Stamen' and you'll see what I mean). 'Bottle' on the left is priced at just £146, down from £208, and 'Globe' is £165, down from £235. Sale ends Sunday 3rd June at midnight. Coming up at the end of June is this year's Daily Telegraph House & Garden Fair. Attractions include the 'Clouds of Scent' concept garden by designer Todd Longstaffe-Gowan, featuring a series of giant floating shapes hanging from the ceiling, workshops on interior colour schemes, lighting and gardens run by the KLC School of Design, plus a spotlight on contemporary young British designers and their work as part of the ISOS Collection. 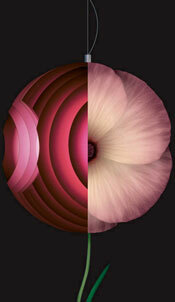 I'm impressed by the promo motif design they've gone with this year - half flower, half lamp ('Supernova' by Ferruccio Laviani for Foscarini). Gorgeous! See the show at London Olympia from 27th - 30th June and book tickets through the site.